Utility is what matters here. Logic. What makes sense. We’ve known from past episodes that despite Diamond’s brilliance and physical hardness, they are also very insecure. They are also incredibly emotional. That’s neither inherently good nor bad, mind you. It’s just different. Of all the gemstones that we’ve met, Diamond is easily the most empathetic of their kind. When Phos needed help with the encyclopedia — man, that feels like a long time ago — who was the only person who offered genuine advice? Diamond. 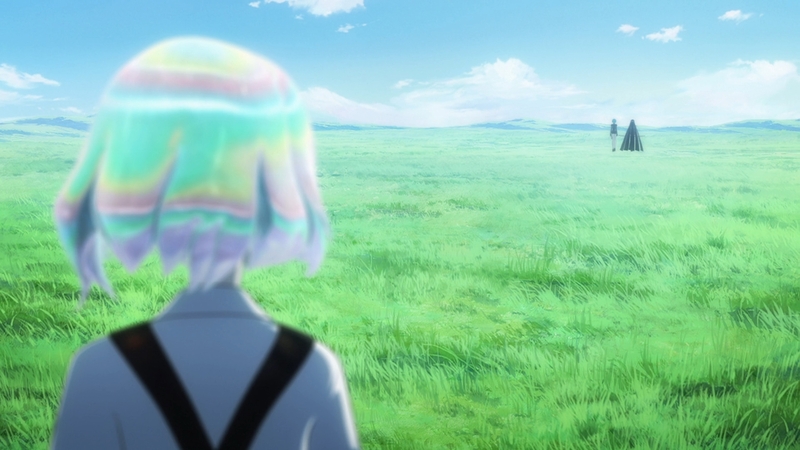 When it looked like Phos had turned into a slug, who went out of their way to help? Diamond. Diamond isn’t even uncomfortable around Cinnabar. They conversed with the lonely wandering gemstone without any fear or apprehension. Diamond understands Bort’s feelings even if they don’t like it. This says something about the gemstone’s radiance. Their ability to empathize is derived from the way diamonds can uniquely reflect light. Bort might seem cold and unyielding to most people, but even next to Diamond, the former can shine like any gemstone. This is one of the reasons why diamonds are so highly valued; they can bring a sparkle to anyone or anything. Toughness and hardness are not the same thing. At the end of the day, Diamond’s emotions get the better of them. Feeling rejected by Bort, they jump to the erroneous conclusion that they will have to fight alone. 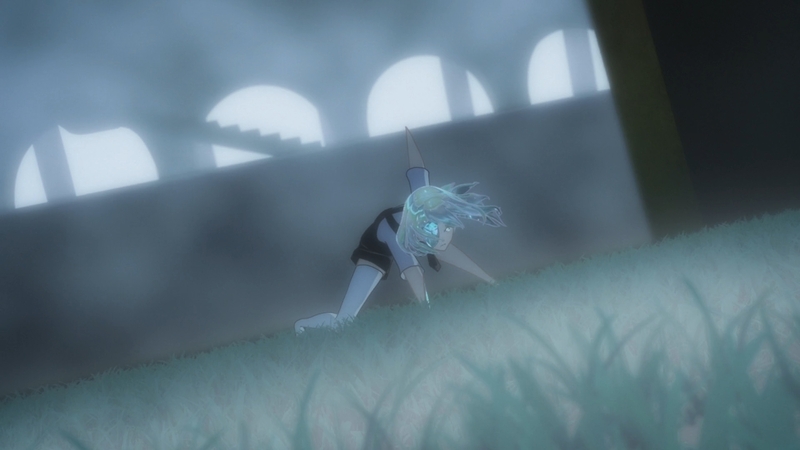 As a result, Diamond decides to stop running and instead face their enemy, a beast-like Lunarian with multiple eyes and arms. As the battle drags on, Diamond slowly finds themselves breaking apart, but they use their own inherent sharpness to cut the beast in two. You can argue that Diamond never would’ve found this courage to hold their ground if Bort hadn’t decided to team up with Phos. So in a way, “Bort is never wrong and always, always makes the right choice.” Diamond gets something out of their “breakup” after all. All Diamond can do is tell Bort to run, but it’s clear that the latter won’t. Bort manages to see themselves in their broken “niichan,” so it’s their turn to be a little reckless. Anyway, the soundtrack has really grown on me and it pairs perfectly with the tense moments in this week’s episode. It’s also nice to see something a little different from the Lunarians. The gimmicky weapons made out of former gemstones pale in comparison to the beast with sharp black nails. The episode is titled “Shiro,” so I assume that’s the beast’s name? 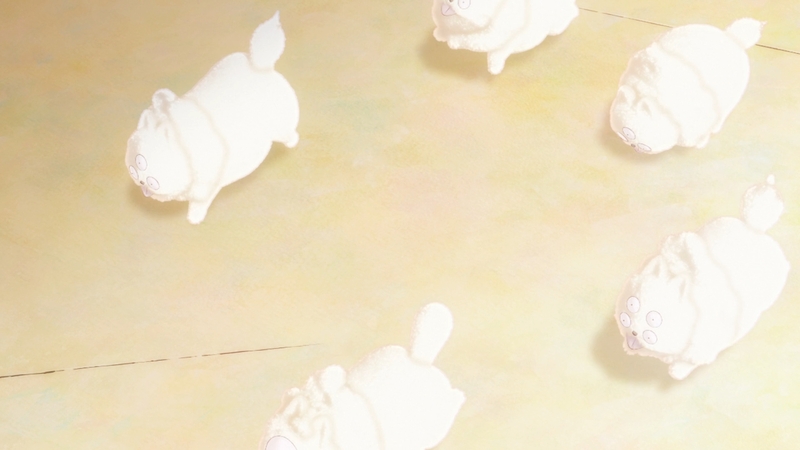 Previews for next week’s episode seem to suggest that the beast will turn into something cute and cuddly, though. I am kinda hoping for the Lunarian threat to continually ramp up more and more as the series progresses, but that won’t be the case if Shiro turns into a bunch of cute, fluffy dogs. 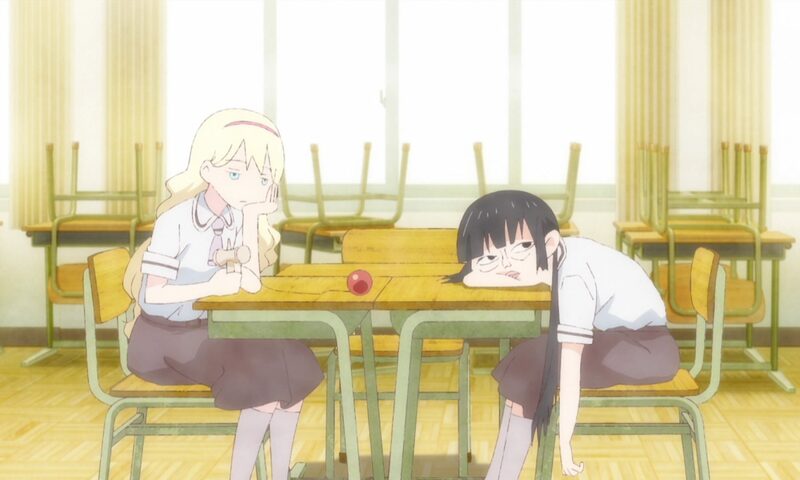 Loved this episode and Bort and Dia’s relationship was fantastic to see and how it impacted on both of their choices this week. This show has been amazing so far, Really enjoying your write ups as well. Not sure why they’d even think of turning the beast into dogs, will just have to see how that plays out. I thought the design and the dimensional rift ability it had was really interesting, it instantly reminded me of pokemon’s Hoopa. Who knows maybe that’s where the inspiration came from for hoopa. It’s a shame that this anime doesn’t put more effort into its world and side characters. The side characters have the potential to turn this anime into something more, but they are treated more like a plot device. I’m just kinda confused at the moment. If this anime wants to become some sort of ambitious, philosophical science fiction story, it kinda fails at that because it doesn’t dig deep enough into its world. The world is only interesting to me during the winter. 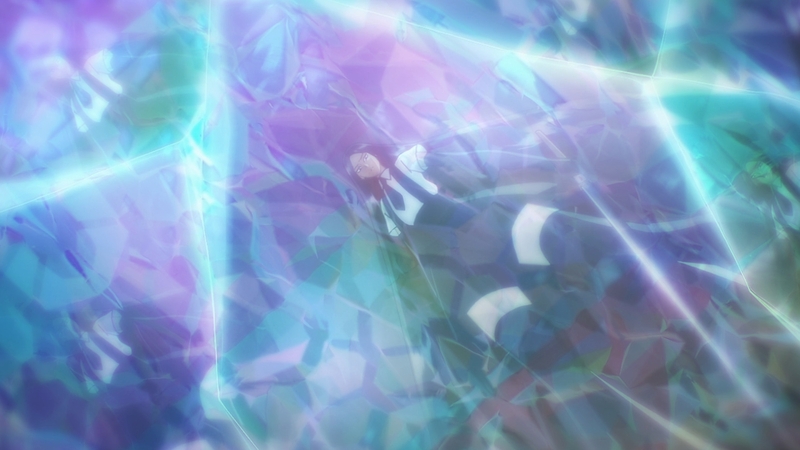 To be honest, I first expect that the story would employ one episode right after Antarticite’s death to explore both the development of Phos step by step and the world. It seemed like a good time for an introspective episode, but nope. Let’s time skip to the spring with a brand new Phos. It’s a missed opportunity I think. If the anime wants to become a character-driven story, it also kinda fails because the side characters are either plot device or meh. 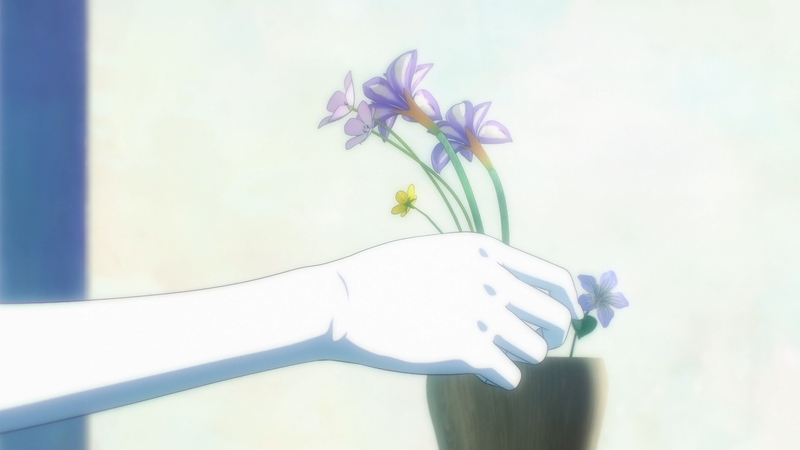 Even Phos has not prove herself to be able to carry this anime by herself at least for me. As an aside note, bort and diamond in this episode are nice. I don’t know about the cute dog in the preview, though. They just seem weird and out of place. Are the dogs going to go evil later and Phos has to kill them all?